Department of Finance and Food Services Bring Holiday Cheer to Children! 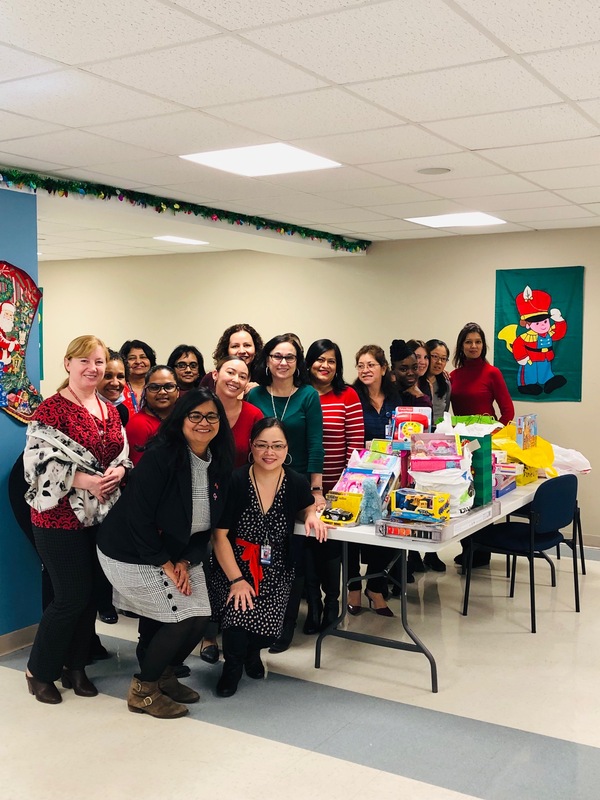 Flushing Hospital Medical Center’s (FHMC) Department Spotlight shines on two departments who brought holiday cheer to the children in our Pediatric Unit and children living in shelters. The Department of Finance held their Annual Holiday Gathering and collected toys from each participant at the event. The donated toys will be distributed to the children are spending the holiday season in the hospital. Another department who was committed to bringing cheer to the less fortunate was Food Services and Nutrition. They collected over 100 toys for Toys For Tots. The donation was made to the NYPD for distribution to family shelters in Queens. Tracy Tompkins, Director of Food and Nutrition was elated by the participation of her department as well as the staff at FHMC. 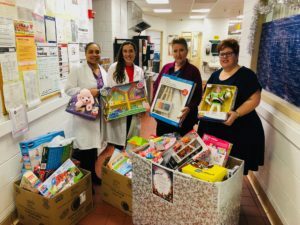 The departments involved in the toy collection would like to thank the employees and administrators at FHMC , as well as Health First for their generous donation of toys. This entry was posted in Department Spotlight, Health and tagged holidaycheer, Pediatric, toysfortots by Joann Ariola. Bookmark the permalink.